"I will never let my daughter suffer the way I do when I have my period. My family treats me like an untouchable. "I'm not allowed into the kitchen, I can't enter the temple, I can't sit with others." There's a sense of determination in 32-year-old Manju Baluni's voice. I met her in a remote village in Uttarakhand, a hilly state in the north of India. 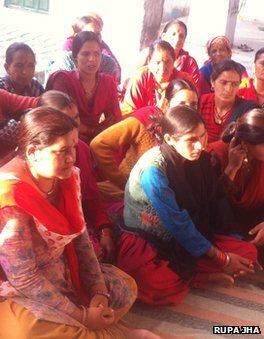 In India, there is generally a silence around the issue of women's health - especially around menstruation. A deep-rooted taboo feeds into the risible myth-making around menstruation: women are impure, filthy, sick and even cursed during their period. 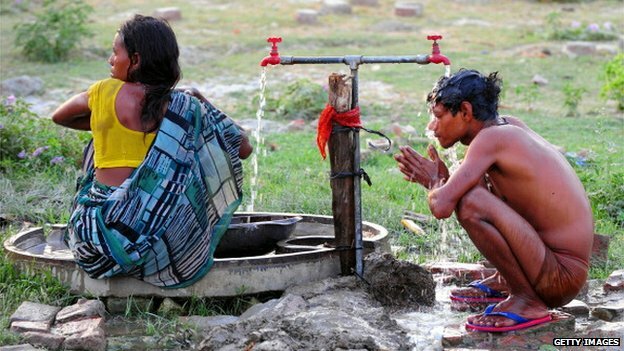 People believe that menstruating women should not take baths and are anaemic. A recent study by a sanitary towel manufacturer found that 75% of women living in cities still buy their pads wrapped in a brown bag or newspaper because of the shame associated with menstruation. They also almost never ask a male family member to buy sanitary towels or tampons. I grew up in a house full of women, but we still never discussed openly one of nature's most normal rites of passage. My mother used to cut up old bed sheets and hide them in a box, ready to be used by her four young daughters. The biggest challenge was to dry those pieces of cloth. I have vivid memories of feeling tense and worried about the whole process. I was taught the trick by my elder sisters - how to slip these stained clothes under other clothes without any men noticing them. We could not risk putting them out in the open under the sun to dry completely. The result was that they never got properly dry, leaving a horrible stench. The unhygienic cloth got used over and over again. Lack of water made the cleaning process even more cumbersome and unhygienic. The story has not changed much since then for many Indian women. Many recent studies show that these practices constitute a serious threat to health. It's reported that at least one in five girls in India drop out of school due to menstruation. Fifteen-year-old Margdarshi lives in a remote village in Uttarakashi. She loves going to school though it means a long difficult trek through very hilly terrain. She never misses her classes, except for last year when she almost gave up her studies after she got her period for the first time. "The biggest problem was managing it. It still is. I feel embarrassed, angry and very dirty. I stopped going to school initially." She wants to be a doctor and wonders why boys in her biology class laugh so much when the teacher explains the process of menstruation. "I hate it. I wish we could be more relaxed and feel comfortable talking about it. This happens to every woman so what is there to laugh about?" Anshu Gupta, founder of a non-governmental organisation, Goonj, feels that the problem lies in the fact that this has been made into a women's issue. About my Country India - india wikipedia profile. I will appeal all hindus to buycott all films of beef eater hindu. LOVE QUOTES FOR PEOPLE WHO ARE IN LOVE. Peshawar sinks in gloom - TALIBAN SHAMELESS TERROR ATTACK ON PAKISTAN so many killed. Rosetta: Waiting game after comet lander glitch - BBC NEWS "featured on google doodle"
we all should love & respect others.